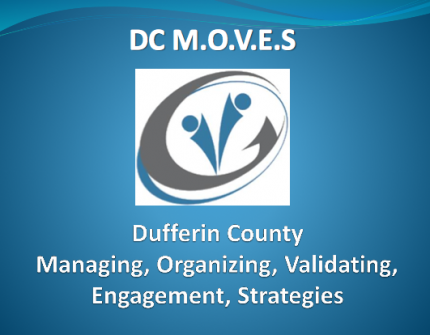 Headwaters Communities in Action and Dufferin County will host the second DC Moves forum on Tuesday, June 21. Executive Directors, program leads, or alternates from human service agencies in Dufferin are invited to participate and provide input. Improving agency collaboration is at the heart of DC Moves, a “made in Dufferin” initiative working to identify opportunities and develop innovative and collaborative solutions to local issues. The initiative launched successfully in April and has been building momentum over the past month. Over 40 representatives from local human services agencies attended the inaugural gathering of the DC Moves initiative. Working with a collaborative and collective impact framework, organizations investigate strategies, create a sense of agency cohesiveness and ultimately enhance access to services in the community. Stay tuned to HCIA for June 21 event details.